Paul Redd was moved out of Pelican Bay SHU finally! Paul wrote to say he was being transferred out of Pelican Bay SHU finally! Victorian courts have been told of young offenders being held in 22-hour lockdown. What's it really like in isolation? Andrew Purcell looks at the situation in California where prisoners are kept in solitary for years at a time. This is for 1½ hours, alone, in a lot with no view. ''There are skylights in all of the Security Housing Unit pods,'' she says. But there are no windows in the cells, so inmates cannot see outside. A guard keeps an eye on the solitary confinement cells in Pelican Bay prison. ''They have television sets, cassette players and reading materials,'' Thornton says. But phone calls are not permitted. ''They talk among themselves.'' But they must shout to be heard by the men in neighbouring cells. ''This notion that they have no contact with people has no basis in fact,'' Thornton concludes. Tyrell Muhammad, a former solitary confinement detainee at Pelican Bay prison. The perforated steel doors of their cells are remote controlled. Twice a day, a guard pushes a meal through the slot. There is no internationally recognised definition of solitary confinement. The United Nations Special Rapporteur on Torture, Juan Mendez, has suggested that the term should apply wherever prisoners spend 22 hours or more in their cell each day. In his 2011 report, he proposed that spells in solitary should be restricted to 15 days. Hundreds of the prisoners in California's SHUs have been there for more than five years. The US is home to about 5 per cent of the world's population and 25 per cent of the world's prisoners. Per head, it locks up five times as many men and women as Australia and 10 times as many as Norway. Young African-American men who fail to complete high school are more likely to go to jail than they are to get a job. Nobody knows how many people are being held in US segregation units. The most recent federal estimate is about 80,000 inmates, not including county jails, immigration detention centres, mental wards or juvenile detention. In July 2013, about 30,000 inmates refused food in protest against the use of indefinite segregation in California prisons. The hunger strike soon dwindled to several hundred, then a few, mostly prisoners with life terms being held in the SHU at Pelican Bay, some of whom lasted two months without eating. Officially, they are some of the most dangerous prison gang leaders in the state. 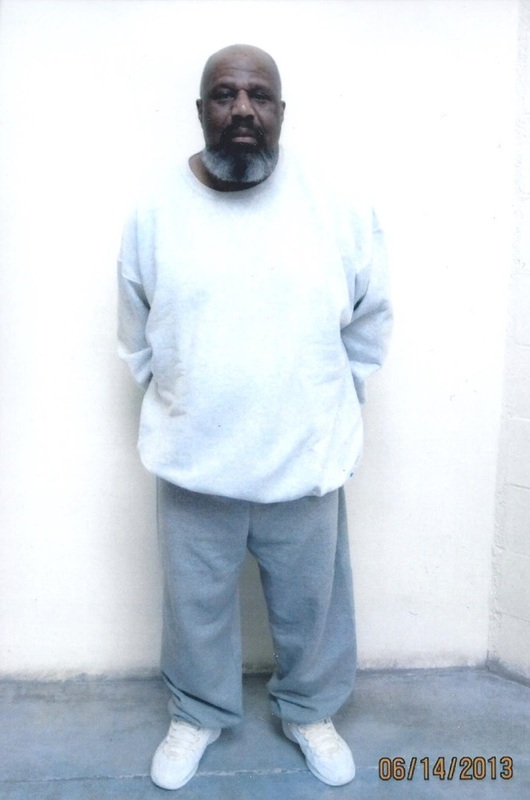 ''From my perspective, they are terrorists,'' says Terri McDonald, a senior CDCR official. Three months ago, I started writing to these prisoners. In the letters that arrived by return of post with the censor's stamp on every page, the men described a system in which wardens act with impunity, punishing inmates they don't like by keeping them in solitary. They all described the conditions they live in as torture. Paul Redd, a jailhouse lawyer, employed language from the US Bill of Rights. ''When you cage another human being under these barbaric structural conditions designed to inflict physical and psychological, cruel and unusual pain, it's torture,'' he argued. He has spent 34 of his 37 years in prison in solitary confinement. In 2003, a psychology professor from the University of California, Craig Haney, studied 100 inmates at the Pelican Bay SHU. Forty-one reported hallucinations, 27 had had suicidal thoughts and ''chronic apathy, lethargy, depression and despair'' were commonplace. CDCR data shows that between 2007 and 2010, inmates held in isolation were eight times more likely to commit suicide than prisoners in the general population. Access to SHUs is tightly controlled. The Red Cross may visit, but may not report what it finds. Lawyers suing the prison system have right of entry. On the rare occasions journalists are allowed in, they get the approved tour. When Shane Bauer (who spent two years as a hostage in Iran) reported from Pelican Bay for Mother Jones magazine, he was allowed to speak with one inmate at a pod for men in transition to the general population. The Correctional Association of New York is one of the few organisations with a mandate to inspect prison conditions. Tyrell Muhammad, a project assistant, regularly visits the SHUs at Clinton, Attica and Sing Sing prisons. He spent 26 years in prison himself, serving time for a hold-up at an after-hours club that went wrong. His friend killed the manager and Muhammad got 20 years to life for second degree murder. He was 19. His first stint in ''the box'' was for ''disobeying a direct order'' by arriving late for lock-up. That got him four months. Each time he complained: about the deranged prisoner next door that kicked the wall all night, about rough treatment or missing meals, the guards wrote him another ticket. ''You're always at the whim of the officer,'' he says. Four months became two years, in a cell four metres by two. At night, he would often wake to find his arm draped in the toilet at the side of his bed. One of his neighbours hanged himself with his shoelaces and a sheet. In total, Muhammad spent seven years in solitary. When he got out of prison when he was 45, he wasn't confident enough to walk to the corner of his street without someone with him. He wore sunglasses all the time, so people wouldn't be put off by his habit of staring too hard for too long. In California, there are two ways to end up in the hole: prisoners who break the rules or commit acts of violence get a finite sentence of up to five years. This accounts for about 7000 of the 11,000 men and women on lockdown. The rest are held in isolation because they have been validated as an associate of a prison gang, such as the Aryan Brotherhood, the Black Guerrilla Family or the Mexican Mafia. Their ''sentence within a sentence'' can last indefinitely. In 1980, Redd was validated as a member of the BGF, after his name was found in a coded roster of gang members in another man's cell. ''I have never been charged with any criminal, gang-related activity, yet I remain in the SHU for decades, called the worst of the worst … a violent, dangerous prisoner,'' he wrote in a letter to me. In October 2012, the CDCR switched to a ''behaviour-based'' policy that requires evidence of gang activity to hold inmates in the SHU. It also started a case-by-case review of prisoners serving indefinite terms. Of the 632 reviewed so far, 408 men have been released to the general prison population. As a representative of the Pelican Bay SHU hunger strikes in 2011 and a signatory on the “Agreement to End Hostilities,” I have not written any articles for publication except a few pieces related to the hunger strikes posted on the internet. The reason being I felt our Brotha and the other three main representatives were articulating our peaceful nonviolent united fight to expose and end our torture, inhumane conditions and decades of indefinite long-term solitary confinement. I did not want to occupy more space saying the same things. The main four representatives have also expressed our collective love and respect to all the unbroken prisoners who have volunteered to join this long-awaited united front with the peaceful nonviolent hunger strikes, including our humble respect for those prisoners who weren’t able to partake because of serious life-threatening health issues and still refused to accept some food trays in showing their solidarity to end this abuse. They have also extended a heartfelt “thank you” beyond the walls to all our supporters in California and around the United States. Although my personal condolence along with our brothas and other hunger strike comrades within my unit to the families has never been printed on the fallen hunger strike comrades’ deaths, our expression of condolence has never been in silence. But we speak with a united voice. Those deaths could have been prevented. But this is a reminder of these diabolical beasts we are dealing with who do not see us as human beings, but as caged-up animals. These deaths of our fallen comrades has made us more enraged, more determined to let the outside communities and people all over the world to really see the faces behind the racism, racist policies and blatant abuse of power hidden behind CDCR titles. It’s an insult that it took two hunger strikes for CDCR officials to give us these small token trinkets that we should’ve had years ago. These things were only given because CDCR could not answer the questions from the outside communities about what provoked this massive hunger strike in California and around the United States. The people on the outside were shocked and in disbelief when reading our core demands to find human beings were living in Pelican Bay supermax under the deplorable conditions exposed. Suddenly, with the spotlight on CDCR officials, they claim our demands were reasonable, yet they are not meeting all our demands. During these ordeals CDCR officials have lied to the media, publicly stating hunger strikes are not the correct approach for presenting our grievances. What they did not tell the media and public, nor politicians, is that we prisoners filed many inmate 602 appeal grievances for years seeking these things and an end to the torture and inhumane conditions, only to have Pelican Bay officials and CDCR officials deny our grievances as meritless. CDCR officials, in response to the attention and embarrassment they experienced because of the hunger strikes, quickly rushed to politicians for funding to implement another repressive structure called STG (security threat group, i.e., gang) and a step down pilot program to give the illusion they are trying to make changes and improve conditions. 2) CDCR’s request to stay plaintiffs’ class action until the STG program has been fully implemented would prejudice plaintiffs by delaying the case unduly. We’ve been called the “worst of the worst” throughout our confinement here and hunger strikes, but Judge Wilken noted that the CDCR SDP pilot program already found a lot of people were in the SHU who should not have been. That’s why CDCR officials et al. started with validated associates (rather than gang “members”) first, in hopes their motion to dismiss would be granted or their request for a stay to clean up their dirt. Had they started reviewing and processing the validated members first, the public and the media would have seen hundreds of validated members who have spent decades in the SHU immediately released, justifying the peaceful nonviolent hunger strikes that brought us some major relief and total shame and disgrace to CDCR officials. Judge Wilken further said we prisoners gave CDCR officials explicit notice of our injuries by way of administrative grievances, written complaints and, of course, the hunger strikes. We’ve been called the “worst of the worst” throughout our confinement here and hunger strikes, but Judge Wilken noted that the CDCR SDP pilot program already found a lot of people were in the SHU who should not have been. I am not going to waste my time exposing each of the lies told, but here’s a few that were most insulting during the two hunger strikes: 1) hunger strike representatives/leaders and gang leaders were forcing prisoners not to eat; 2) hunger strike representatives/leaders and gang leaders were ordering racial assaults on prisoners refusing not to eat; 3) hunger striking prisoners were stashing food and eating during the hunger strike; 4) some hunger strike prisoners were refusing to be weighed because they were eating; 5) another funny lie, hunger strike representatives/leaders and gang leaders were forcing prisoners not to participate in the SDP pilot program and/or sign the SDP contract. These prisoners are grown men who are free to make their own choices whether to eat or not to eat, whether to participate in the SDP or sign the contract. Not one of those prisoners could ever be viewed in a negative light. It’s an insult upon us when CDCR officials make these false accusations to attempt to save face in the court of public opinion. We feel it’s time to turn up the heat, so we are taking a scripture from the W.O.N. to rally that level of support. Another truth that is secretly whispered to many of us prisoners: some CDCR officials, guards and other employees expressing to us prisoners they think we should be released from the SHU and/or our demands are reasonable and agree with them, yet they aren’t bold enough to openly state these words, and as prisoners we understand and know why. However, the scripture says we are not going to be silent. The united front in these two peaceful, nonviolent protests has proven to be warranted and justified. I have talked with some prisoners who have expressed they do not want to do another hunger strike, including myself. But it’s obvious CDCR officials wish to force a hunger strike. What I have also heard, as well as other prisoners, is certain correctional supervisors and employees speaking confidentially, stating if we prisoners really want CDCR headquarters to meet our demands, force-feeding tubes would do it. I guess correctional employees are really pissed off and upset with their own job cuts, pay cuts and whatever else, thinking force-feeding tubes would benefit them. I guess many of them do believe our demands are reasonable and we should be released from the SHU. Charles Coleman, C-60680, PBSP, D2-120, P.O. Box 7500, Crescent City, CA 95532. This statement was transcribed by Adrian McKinney.